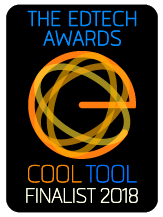 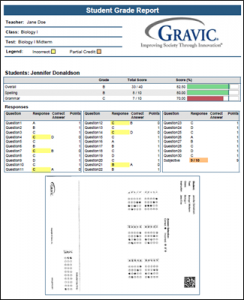 Interested in a streamlined K-12 test scoring solution for your school? 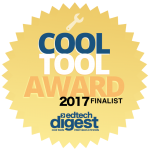 Nothing to install for easy school-wide deployment. Request a trial or webinar of Remark Test Grading Cloud Edition. 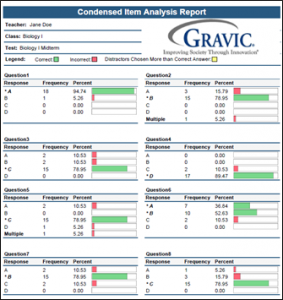 The reports produced in Remark Test Grading Cloud range from class summaries showing detailed student and question achievement, to item analysis showing question performance, to individualized student grade reports. All reports are generated as PDF files for easy printing, emailing and sharing. Please use the list of reports below to see the reports included in Remark Test Grading Cloud. 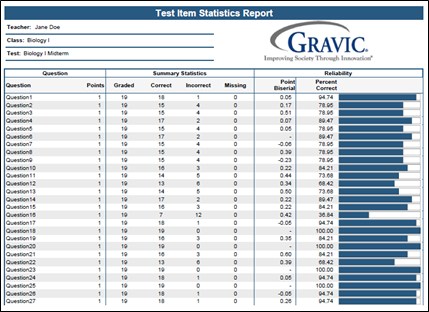 Used to see overall test performance so that if there are any red flags, you can go to a specific report to get more information. 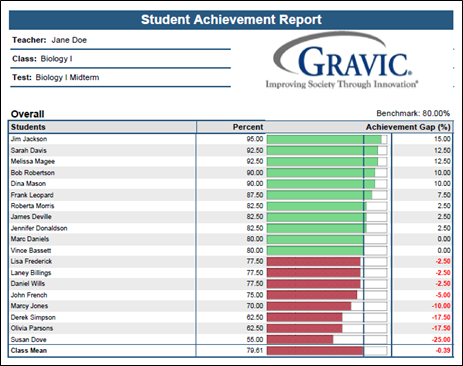 Provides scores for each student, sorted by whether they have met the benchmark set for the test, allowing you to quickly see who is and is not grasping the information. 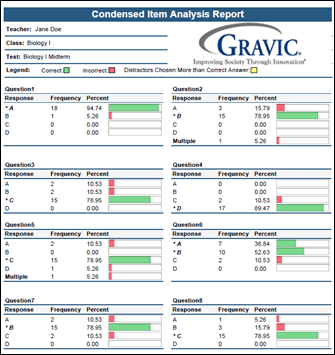 Provides answer choice frequency information on a question-by-question basis, which for test grading is useful for question validity. 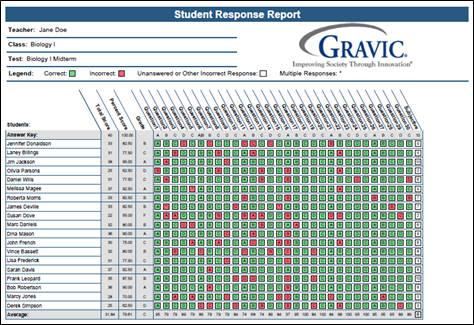 Using the Item Analysis reports, you can see how students responded to the question. 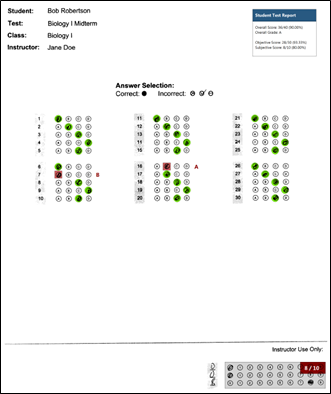 If problems are found (e.g., the question was poorly worded), you can throw out the question or allow additional responses to be considered correct without rescanning test forms. 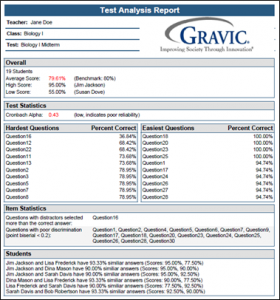 Provides score information for the learning objectives defined for the test. Learning objectives provide scores for questions on a test that are tied to specific areas of knowledge, such as standards. 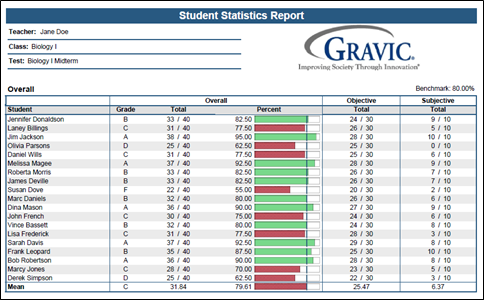 The Student Grade Report provides a detailed grade report for each student, including an image of the completed test. 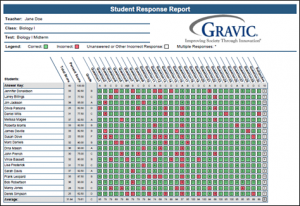 You may print these reports and give them to your students, parents or other stakeholders. 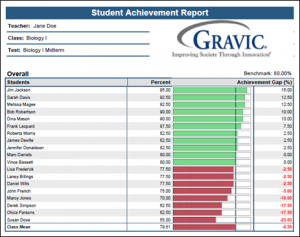 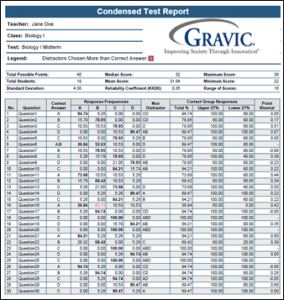 The Student Test Report is an overlay of each student’s completed test with detailed grade report information. You may print these reports and give them to your students, parents or other stakeholders. 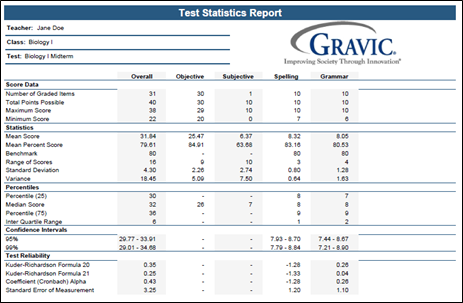 Displays basic statistical information for each question. This report allows you to quickly see which questions were answered correctly or incorrectly. 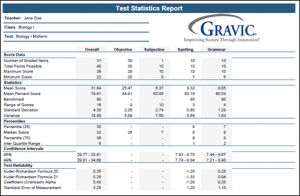 It also includes information on question reliability.